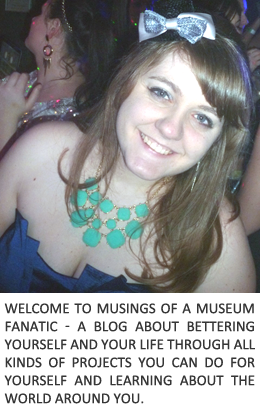 Musings of a Museum Fanatic: Say What Facebook? A couple weeks ago someone posted a fabulous topic ... things people people say on Facebook. We were totally emailing about her post and now for the life of me I can't remember who cause I want to give her credit for bringing the crazy to light first. I think it should really be a link up cause I'm sure we all have those couple of people right? I figure since it's Friday and one really shouldn't think on Fridays, it's bad for your complexion you know, I better give you some really amusing ones! "I seriously just want to take a shower right now so nobody can see me cry." So you post it on Facebook so everyone knows you're crying? "I'm starting a revolution against bathroom attendants. We've lived under their oppressive regime for too long. I know how to get my own paper towels. SPARTICUS!" "Any chicks wanna come over and make out?.......or we can make out." This one from one of my high school crushes ... me me! Oh wait just kidding Kevin! "throwback #paige #prom #freshie #dress #throw#back"
You're 15, prom happened a week ago and you're using hashtags incorrectly. Not allowed to use Facebook anymore. I like the rant about the bathroom towels it's funny. Oh wow! Yes! I have some ridiculous FB friends. i defriended a lot of them, but kept some purely for hilarity's sake. The rant sounds like something I'd post. #1 is one of my most hated FB things - the fishing for attention. Something's wrong, but instead of saying it, I'm going to need you to ask me! Um, no.